China aims to construct a huge solar power station 36,000 kilometers above ground in an attempt to fight smog, cut greenhouse gases and solve energy crisis, very much based on the idea first floated by fiction writer Isaac Asimov in 1941, state media reported on Monday. If this mega-project is realized, this will be the largest-ever space project surpassing the scale of Apollo project and that of the International Space Station. The power station would be a super spacecraft on a geosynchronous orbit equipped with huge solar panels. The electricity generated would be converted to microwaves or lasers and transmitted to a collector on Earth, staterun Xinhua news agency reported. In 1941, American science fiction writer Isaac Asimov had published a short story "Reason", in which a space station transmits energy collected from the sun using microwave beams. Wang Xiji, an academician of the Chinese Academy of Sciences and an International Academy of Astronautics member, says Asimov's fiction has a scientific basis. After devoting over 50 years to space technology research, Wang, 93, is an advocate for the station: "An economically viable space power station would be really huge, with the total area of the so lar panels reaching 5 to 6 sq km." That would be equivalent to 12 of Beijing's Tian'anmen Square, the largest public square in the world. "Maybe people on Earth could see at night, like a star," says Wang. Wang says the electricity generated from the ground-based solar plants fluctuates with night and day and weather, but a space generator collects energy 99% of the time.Space-based solar panels can generate ten times as much electricity as ground-based panels per unit area, says Duan Baoyan, a member of the Chinese Academy of Engineering. "If we have space solar power technology", hopefully we could solve the energy crisis on Earth," Duan said. Wang says whoever obtains the technology first "could occupy the future energy market." However, many hurdles lie ahead: A commercially viable space power station would weigh 10,000 tons. But few rockets can carry a payload of over 100 tons to low Earth orbit. "We need a cheap heavy-lift launch vehicle," says Wang, who designed China's first carrier rocket more than 40 years ago. "We also need to make very thin and light solar panels." 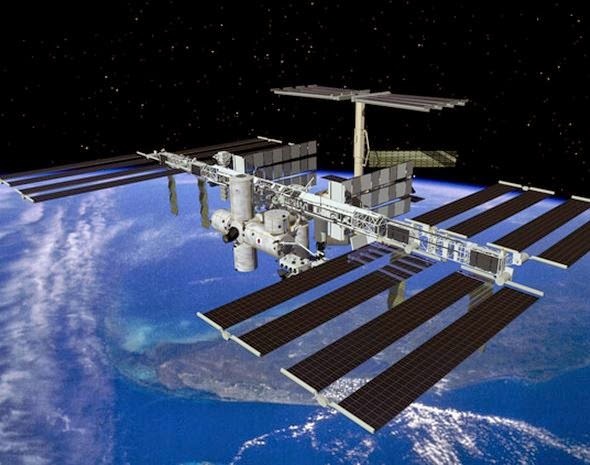 Li Ming, vice-president of the China Academy of Space Technology, says, "China will build a space station in around 2020, which will open an opportunity to develop space solar power technology."